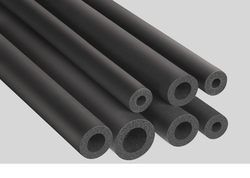 Pioneers in the industry, we offer Rubber Pipes such as Industrial Rubber Pipes and Nitrile Pipe from India. We are a prominent organization, which is engaged in manufacturing, supplying, wholesaling, trading, retailing and exporting a broad series of Industrial Rubber Pipes. Manufactured using high quality rubber, this range is assured for its fine finishing and optimum material strength. To attain utmost satisfaction of the clients, we deliver these within promised time-frame. We hold expertise in facilitating our valued patrons with superior quality Nitrile Pipe. These pipes are designed and manufactured to perfection at our state-of-the-art infrastructure facility, outfitted with latest machines and advanced techniques. Furthermore, we ensure to test these on defined quality parameters so as to be sure of their perfect usage. 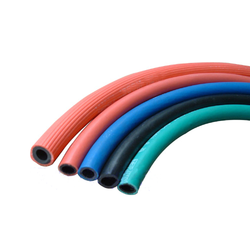 We are counted among reckoned organizations that are engaged in manufacturing, exporting, wholesaling, trading and retailing a broad series of Rubber Pipes. 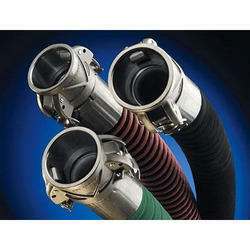 These pipes are manufactured using high quality rubber material, which we obtain from reliable vendors of the market. Furthermore, our quality controllers examine the pipes on different parameters so as to ensure their fine finishing.